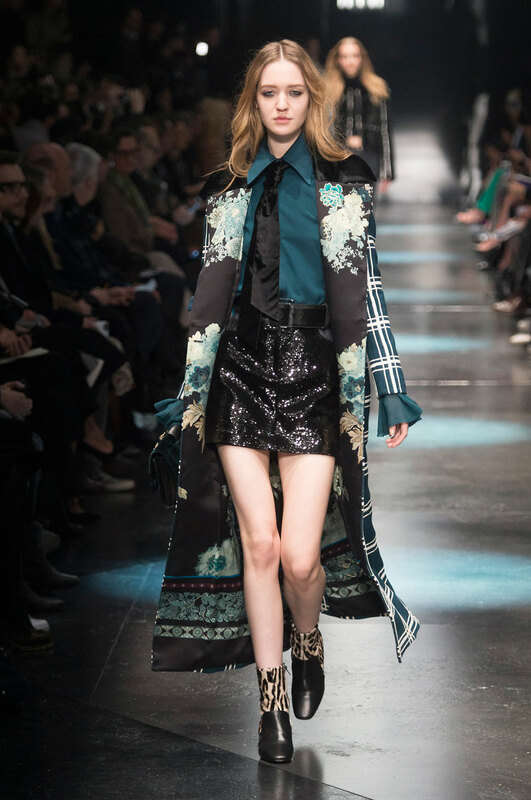 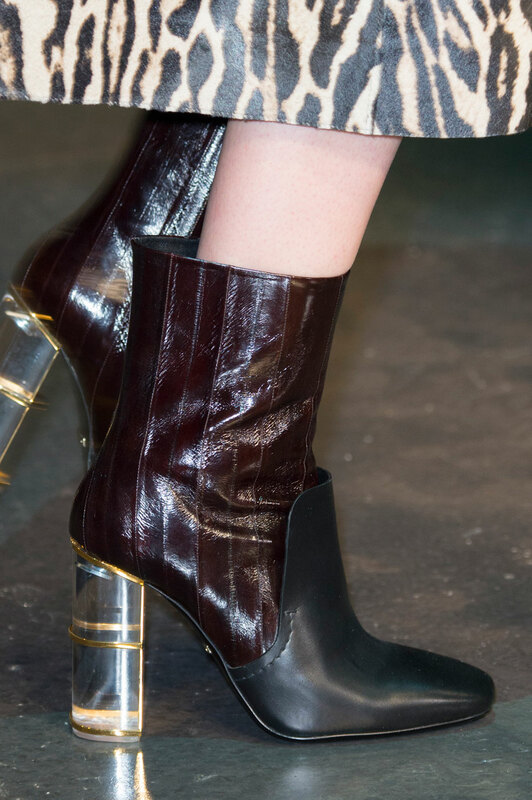 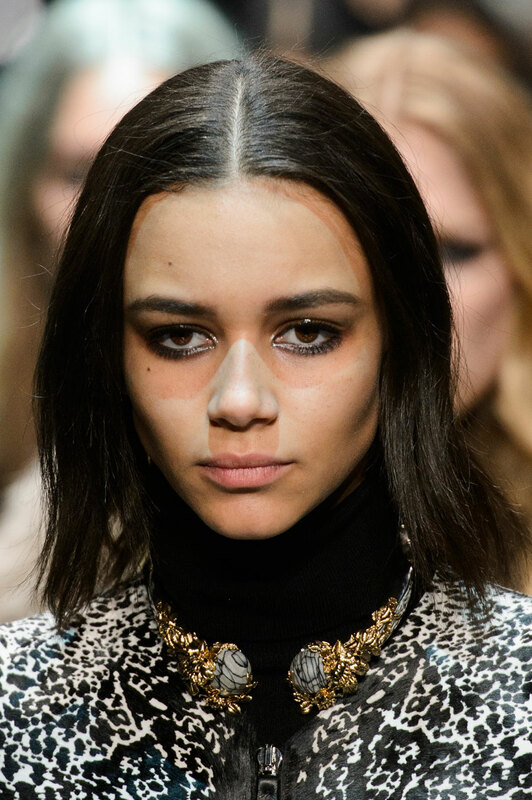 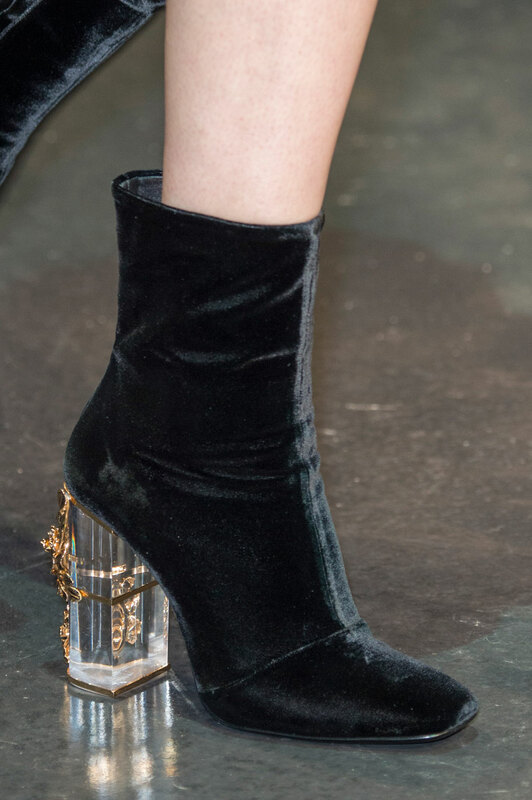 Roberto Cavalli Women Autumn-Winter 2015 - Rather than pushing times forward this season, Roberto Cavalli continued to bring back the seventies but where the swinging sixties concluded. 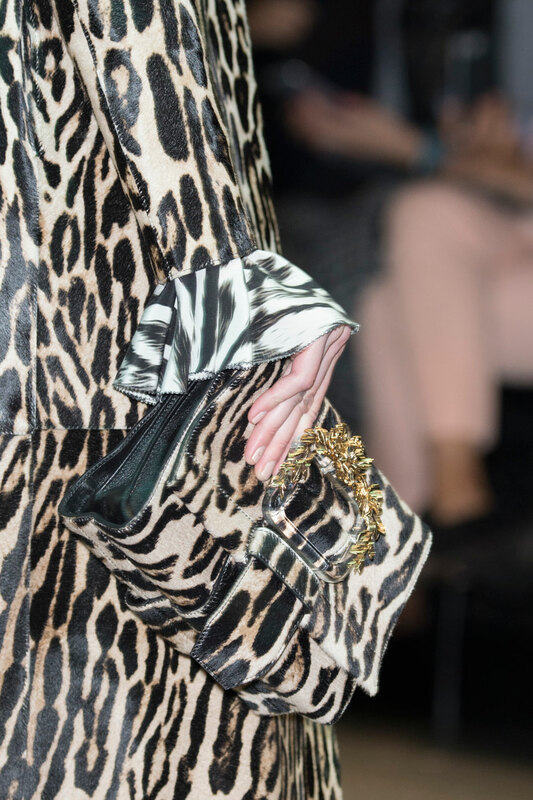 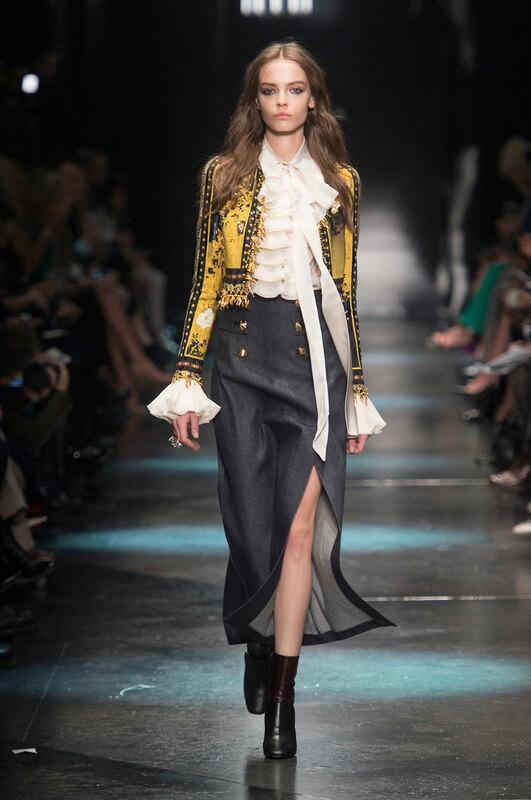 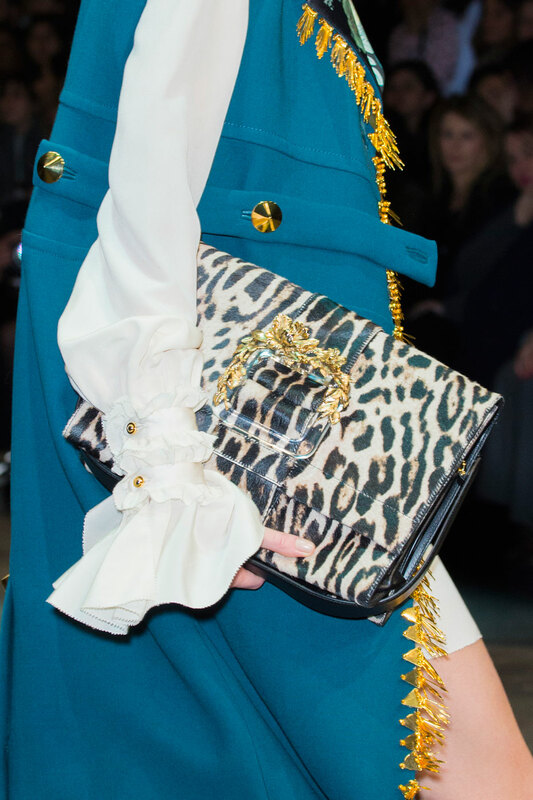 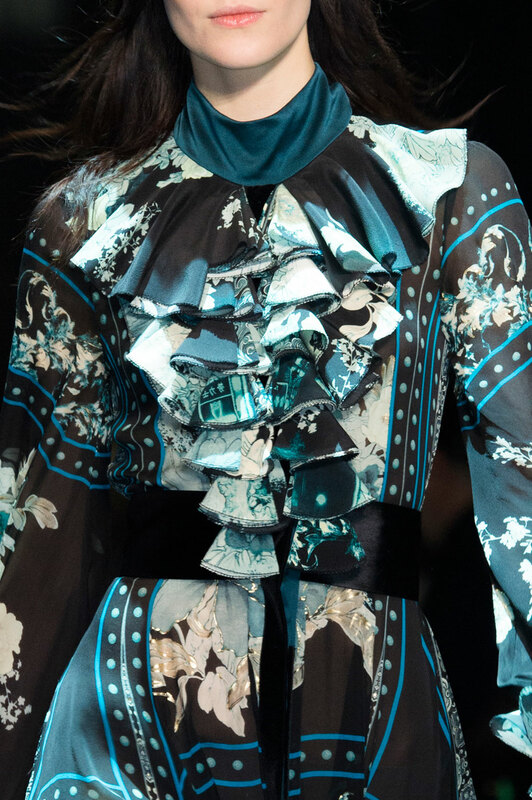 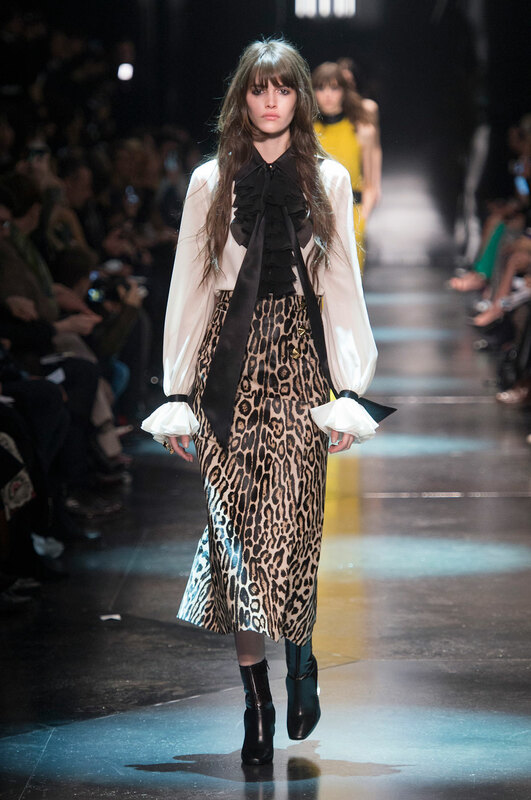 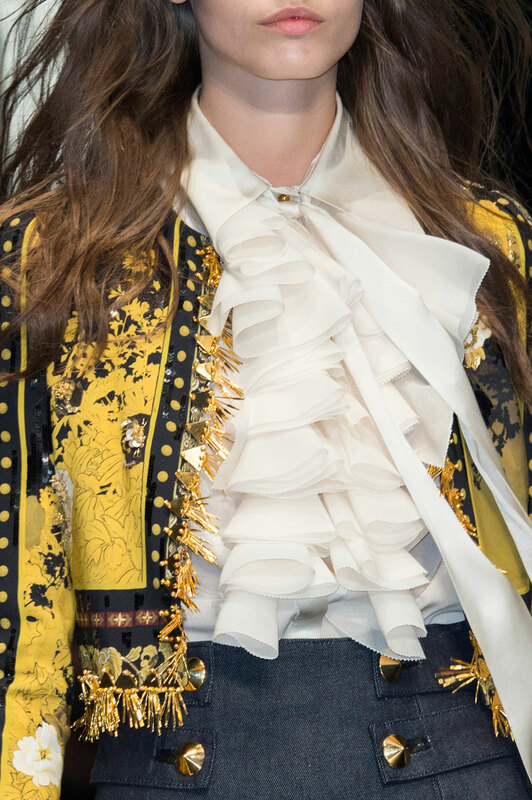 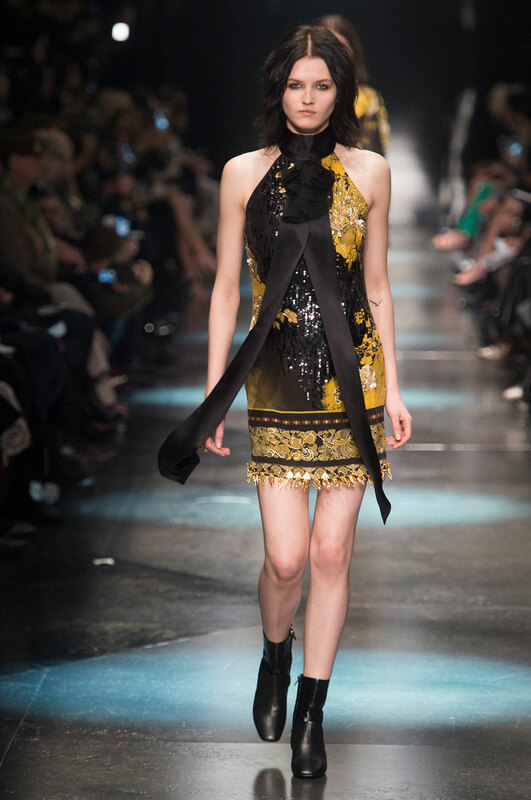 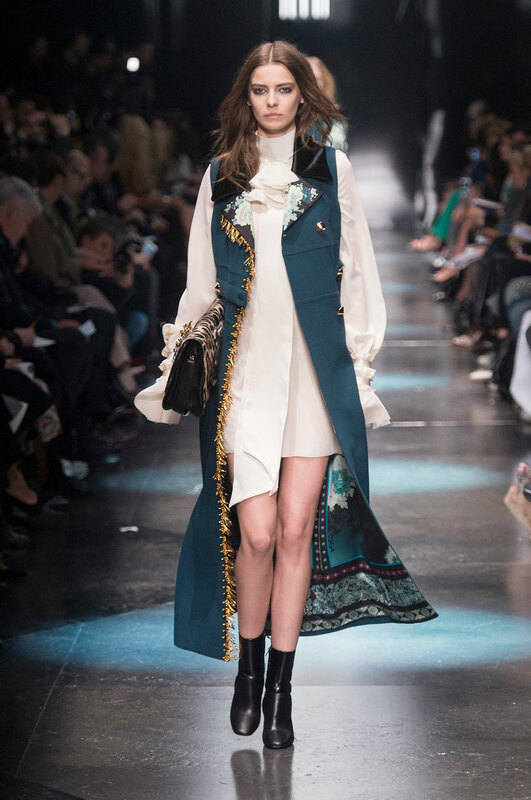 The ruffles, the mini skirt and large pointed collars were all present, sprinkled with a touch of Cavalli’s unique vision for the era’s evolution. 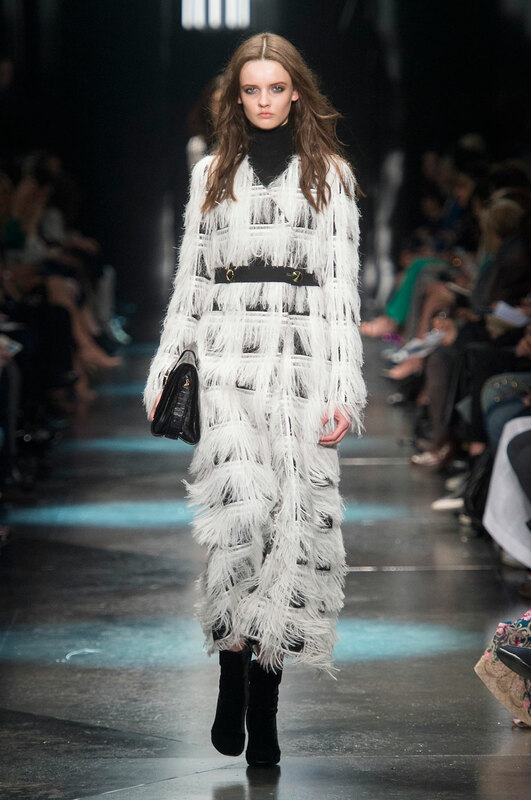 The details in each look were bold and decorative, with bulky beading, intricate embroidery and heavy fringing. 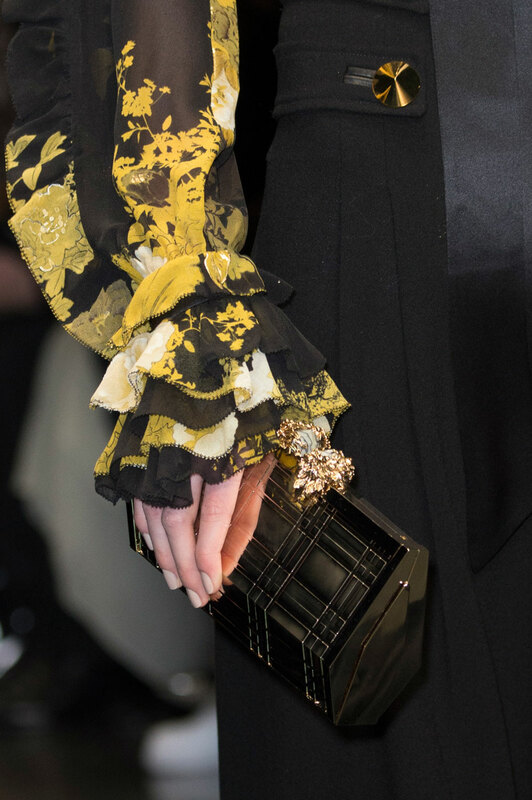 The colour palette had variation, dark tones complimented brights such as yellow, paired against animal print designs and floral detailing. 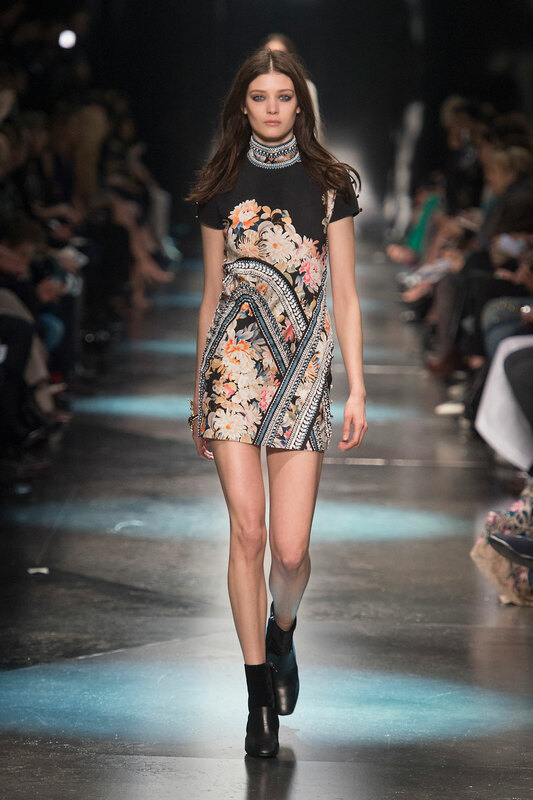 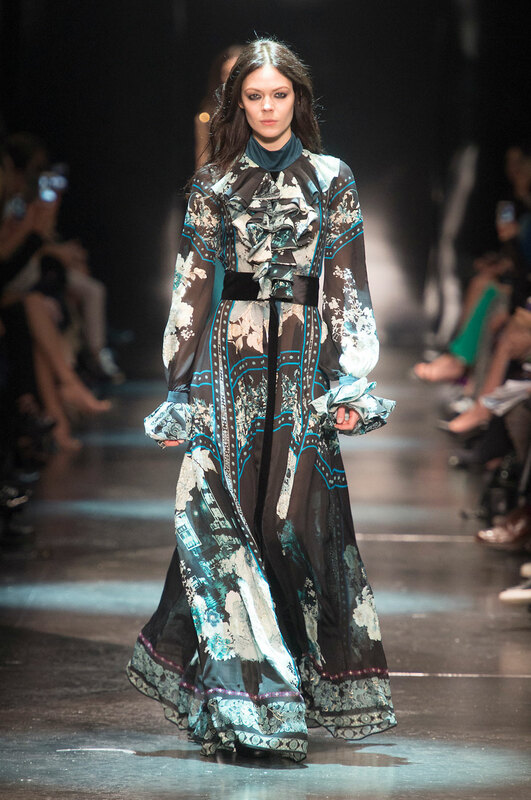 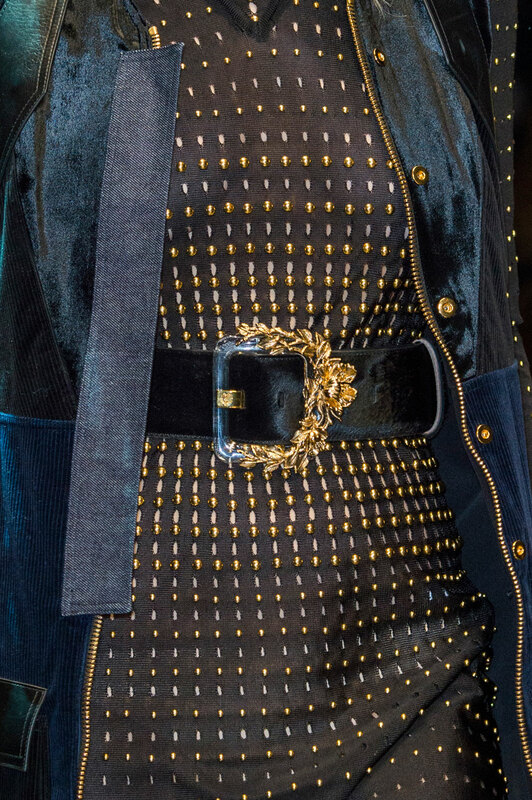 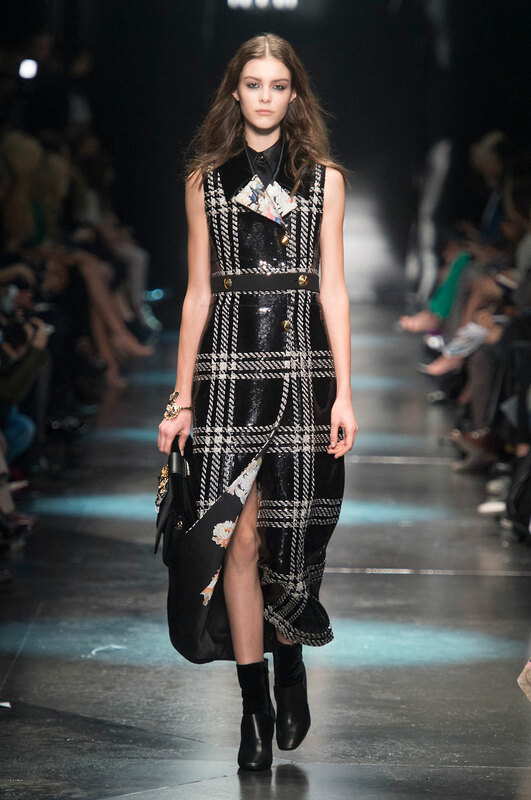 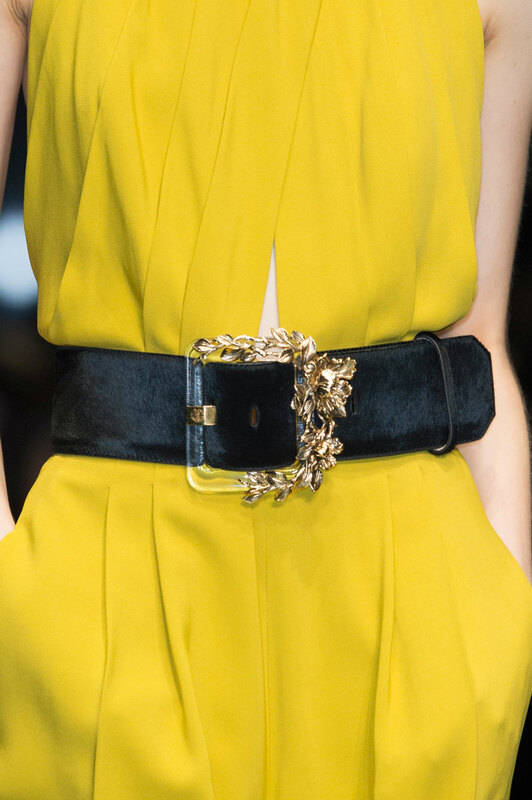 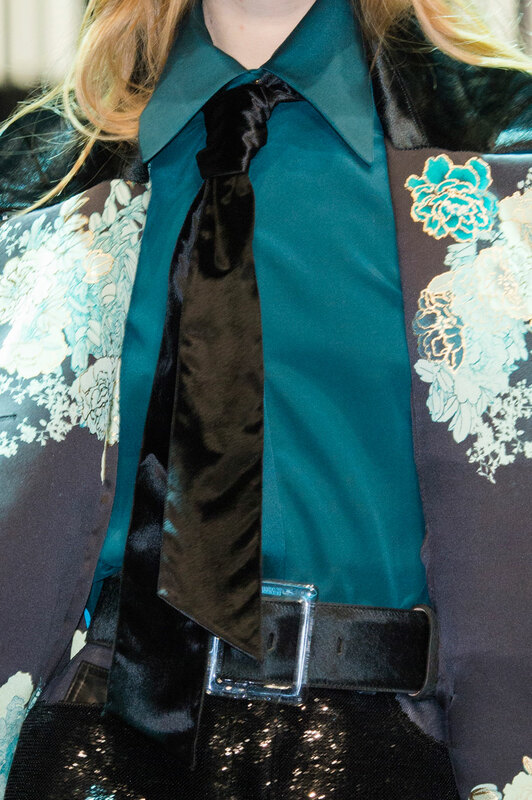 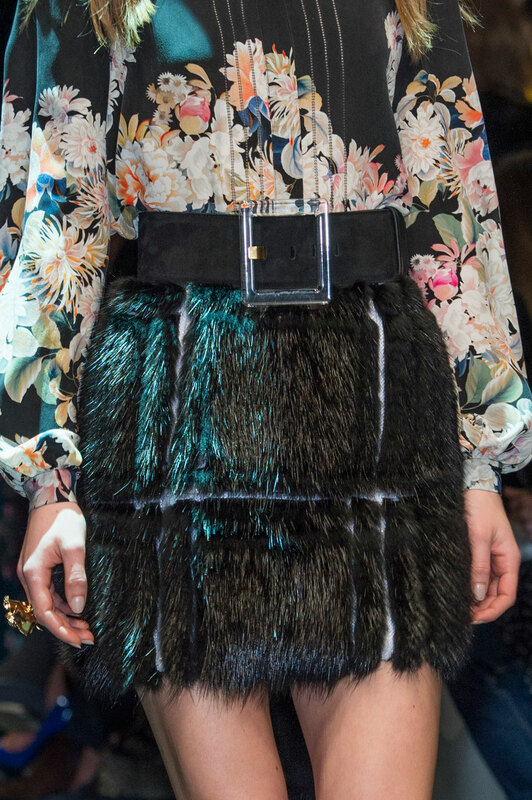 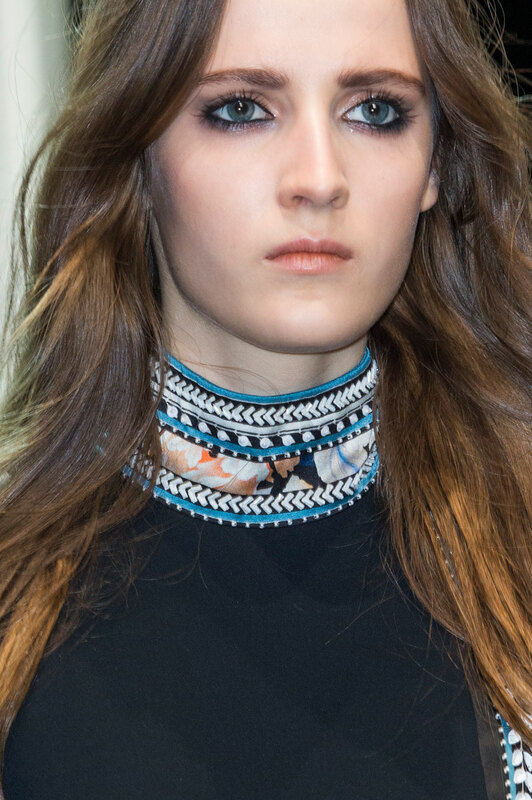 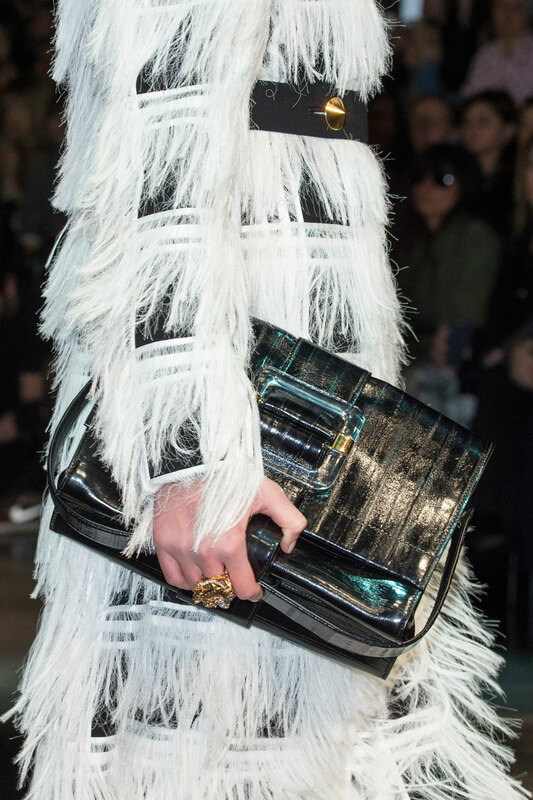 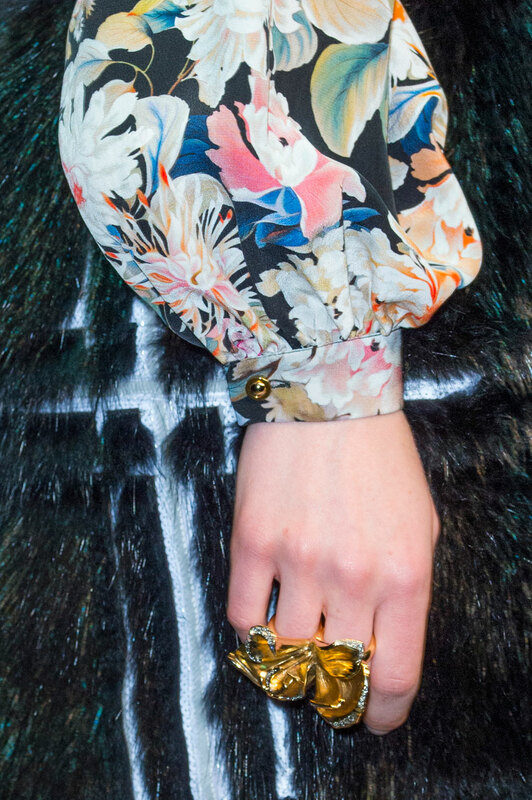 Every look has its own speciality, Cavalli presenting more of an expressive outlook this season. 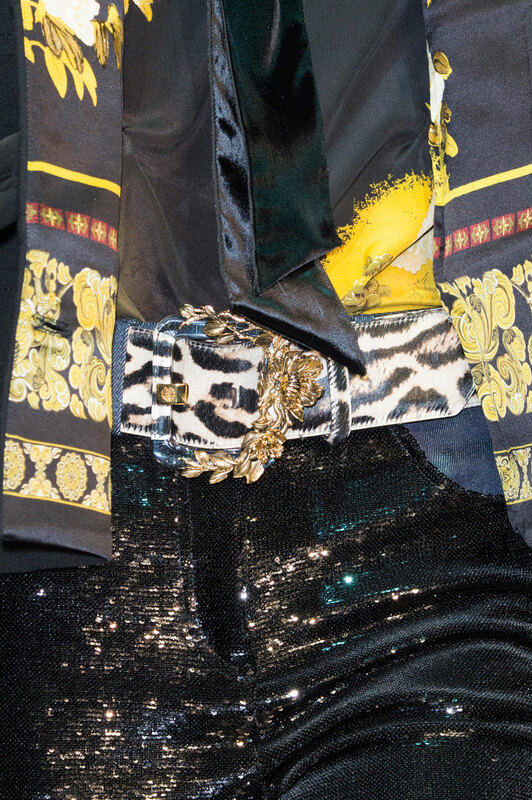 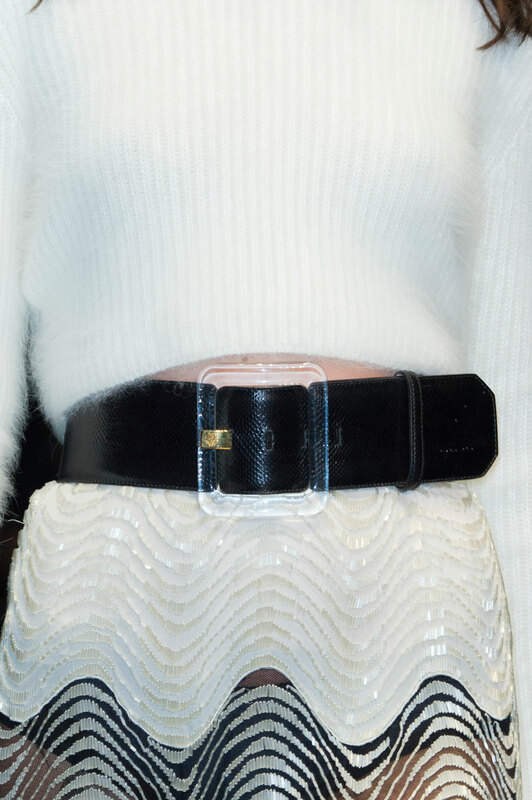 But he successfully uses strong details to balance and draw the looks together with the chunky belt making an appearance on lighter and sharper looks. 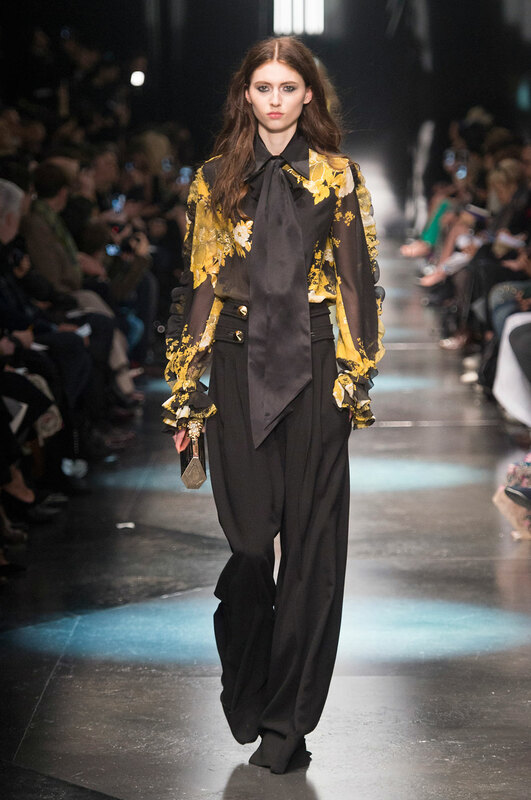 The sequin jacket and trousers lift the dainty mood made by more feminine, embroidered pieces, adding a sense of glamour to the collection along with fur. 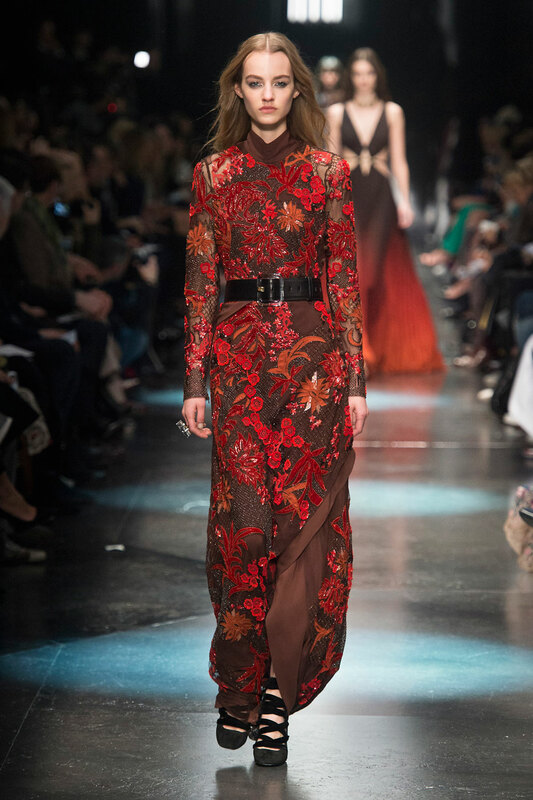 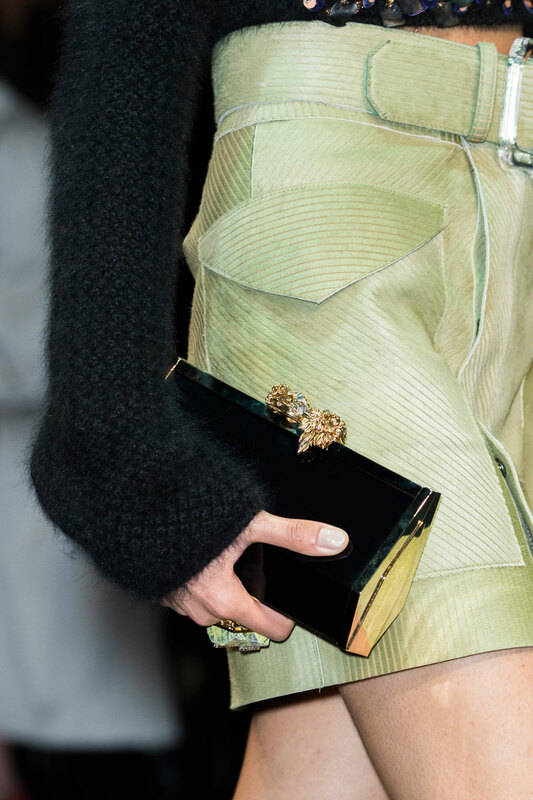 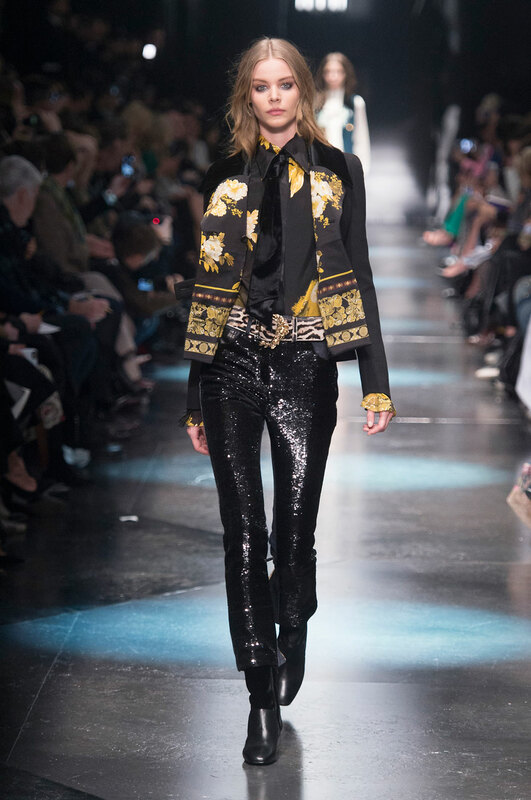 It truly was a presentation of Roberto Cavalli’s skill this season, every look a masterpiece.